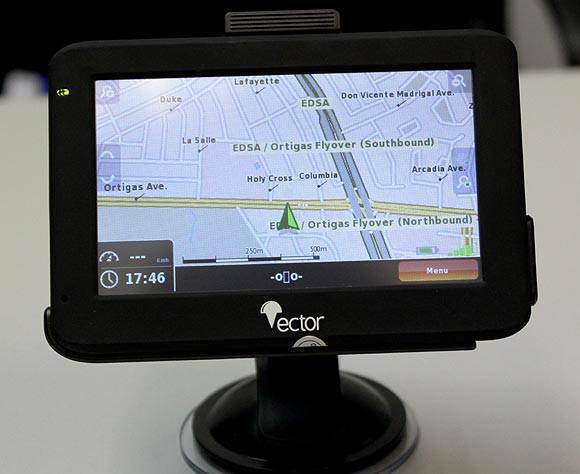 A leading map publisher has gone digital by introducing Vector, a portable global positioning system navigation device. Asiatype Group of Companies, which has been in the map data-building business for 13 years, assures a convenient way to leading its users around Metro Manila and other parts of the country like Batangas, Laguna, Cavite, Pampanga, Baguio, Bulacan, Bacolod, Cebu, Tarlac, Rizal, Subic and Olongapo with its close to 38,000 points of interests. "Asiatype's maps are not just diagrams of streets. They have landmarks, traffic flows, access points and appropriate representational icons, and indexes of streets and buildings," said Anne Gauthier, Marketing Manager of Vector. "With this mapping expertise and system inside Vector, we believe that we have the most accurate and updated maps in navigation devices. This is what sets Vector apart from the rest!" The Vector GPS device promises an accuracy rate of +/- 3 meters, better than the industry standard of +/- 15 meters. The device receives signal from global navigation satellites to deliver its electronic maps, route plotting and turn-by-turn directions with its NDrive software. Aside from the basic navigation functions, Vector also includes features like Bluetooth hands-free calling, an FM transmitter, and a multimedia photo viewer and music and video player. Vector is available at P13,900. Have you tried using a portable navigation device? Share your experience with fellow motorists by posting a comment below.